Articulate Rise 360 is a modern, dynamic eLearning authoring tool allowing designers to create responsive courses for any device. Using a web-based course builder, Rise allows instructional designers to create beautiful online courses with a few clicks of a button. Over the past few years at Water Bear Learning, we’ve experienced a significant increase in clients appreciation and request for courses in Rise format. If you’ve developed courses in traditional eLearning authoring tools, such as Storyline or Captivate, you’ll find Rise can serve as a refreshing alternative. While Rise certainly doesn’t have all of the customization features of traditional eLearning authoring tools, it’s responsiveness and elegant design have the power to wow many clients. + 100% Browser-based tool: One of the major downsides of traditional eLearning tool, Storyline, is that it is only available for PC. As a Mac user, a major plus of Articulate Rise is that the tool is available from any web-based browser (we suggest Chrome). That means no downloading software. No installing software. The entire course-building process is completed in the browser itself, regardless if you’re using a Mac or PC. Very useful! + Drag-and-drop builder: The building tool within Rise is by far the simplest and most efficient tool for creating eLearning courses. Containing a simple yet powerful “block” builder, Rise provides an intuitive user interface that only requires a minimal learning curve. With the click of a button, you can duplicate modules, add interactive features, and move items up or down. + Elegant style: Simply said, Rise courses are visually stunning. With minimal effort, instructional designers can create courses with the look and feel of a dynamic, upscale website. The left-side navigation toolbar is perfectly placed for the learner to monitor course progress. Even if visual design isn’t your strong suit, Articulate Rise makes you look like a pro. + Faster development speed: The time it takes to develop an eLearning course depends on many factors. But when all is equal, placed head-to-head with traditional eLearning authoring tools, Rise requires significantly less time investment to create a course. This is due to the real-time editing ability, simplicity of the course builder, and in general, a more “cookie-cutter” supply of tools within Articulate Rise. For courses that may take two to three weeks to develop in Storyline, could most likely be developed in around one week with Rise. + Responsiveness: These courses really do look beautiful on any device. With recent trends toward mobile and point-of-need learning, Rise courses offer the ultimate eLearning solution. Responsiveness is clearly one of Rise’s core selling points, and for good reason, as there are very few competitors that do this as well as they do. + Learner navigation: Along with visual beauty, Rise courses are also incredibly straightforward for any learner to navigate. Regardless of age or technological background, Rise courses are built with simplicity and a modern flow that spans across a multitude of learning audiences. + Decent selection of tools: Text, video, interactive graphics, multiple choice questions. In general, Rise has a decent selection of tools to enhance the learning experience. While certainly lagging behind the nearly unlimited features of traditional eLearning tools, Rise still packs enough options to build powerful courses. + Easy review cycle: When working with a client, instructional designers need simple solutions for sharing work. Articulate Rise has a brilliant feature to easily share courses with a link. Simply click the ‘Share’ button at the top and a shareable link is automatically populated. Clients love the simplicity! + Compliance: Will this integrate with my LMS? Always a valid question to consider before choosing a new eLearning tool. Articulate Rise has all of the same export technical standards of Storyline, including SCORM 1.2, SCORM 2004, AICC, and xAPI (Tin Can). – Limited customization: While the platform does have a reasonable list of features and module options, it severely lacks in customization. You may find that your text is misaligned from module to module. Unfortunately, that cannot be changed. You may also want to create a more situational eLearning course with different triggers. Unfortunately, you can’t do that either. Since the software is still new, we will cut Articulate some slack. But if they want to continue being the leader in eLearning software, we’ll need to see more customization features in the future. – Limited evaluation options: Evaluation is an essential component to any eLearning program. While Rise does have a few options such as multiple choice questions or matching games, overall the platform is extremely limited when it comes to evaluation. The multiple choice questions are only available as single, individual questions. This means you are not able to create a 10-question graded quiz at the end of your lesson. A simple feature that we hope to see added in future updates. – No version saving: Rise automatically saves your work every few seconds. For the most part, this is a positive. The challenge arises when you want to revert your course to a prior version. Currently, Rise does not have a versioning feature built in. Plus, depending on your browser, it’s even a struggle to do a simple Command + Z to undo your changes. A major issue if you accidentally delete a long string of text. – No feedback or commenting option: One reason Google Docs has gained so much popularity is the ease of collaboration and receiving feedback. Teams can easily comment on documents to share their feedback. Currently, Articulate Rise does not have such a feature. This makes gathering client feedback much more cumbersome, especially if you are working remote. We hope Articulate can include a better solution for client feedback in the upcoming versions. – High cost: As of writing, Rise comes only as part of the 360 suite, and costs over $1000/year for a single user. The difficulty here is that a full annual subscription is the only option for payment. You can’t pay month by month. With a relatively high price tag compared to competitors, it’s quite a hefty investment for many independent instructional designers looking to get started. Overall, we are very happy with Articulate Rise for developing eLearning courses. 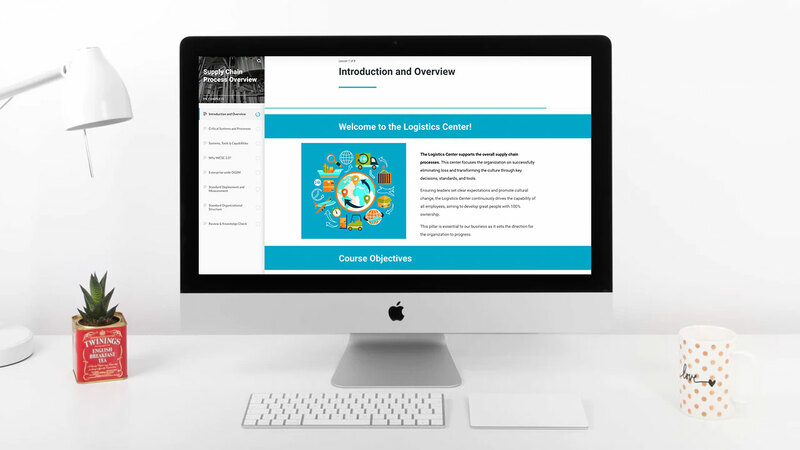 It’s sleek design and simple user-interface is unrivaled by any other eLearning programs on the market. And while Rise is still relatively new, we’re confident that future software updates will resolve many of the cons we’ve discussed. If you’re serious about instructional design and developing powerful and modern eLearning courses, Articulate Rise is worth the higher cash investment.